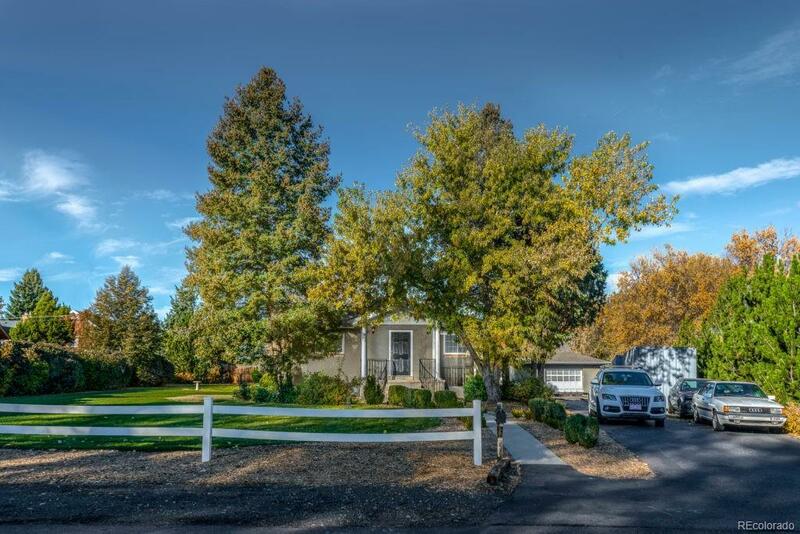 Charming French Country home in the heart of Lakewood offers an easy commute to the city or mountains. This 4 bedroom 2 bath, beautifully updated single family home has endless options! This home boasts a sun drenched living room with an updated kitchen perfect for family get togethers. The wall of windows brings the outdoors in! This home has been completely remodeled with an open living concept, gorgeous hardwood floors, updated bathrooms with a cozy deck nestled between a lush landscaped lawn. The home has a new roof, gutters, hot water heater, and new paint. The detached 8 car garage is perfect for a car enthusiast! The additional structure offers endless options: carriage house, barn, workshop or business. This unique little gem will not last long! Come see it before it is gone! !